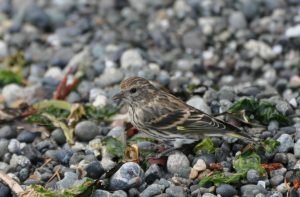 What kind of year for winter finches? What’s a winter finch? Home » Birding » What kind of year for winter finches? What’s a winter finch? Early September, I saw my first-of-the-season Red-breasted Nuthatch, one of my favorite birds. Diminutive compared to our more common year-round White-breasted Nuthatch, the Red-breasted is also set apart by its rusty-red chest and distinctive eye stripe and the fact that it spends a bit more time on branches than the trunk-clinging White-breasted. 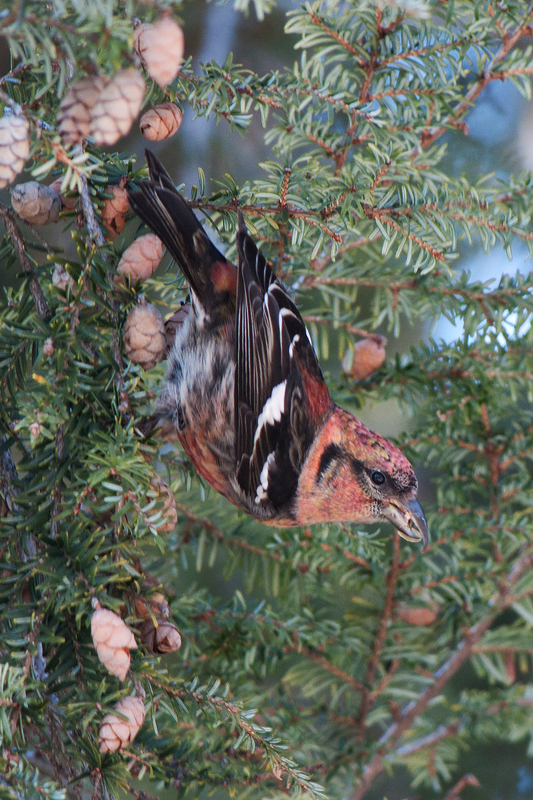 Because of similarities in size, behavior, and range movement, Crossbills, Redpolls, Goldfinches, and Pine Siskins may be lumped together with Red-breasted Nuthatches and Purple Finches in the “winter finch” category. Most eat buds, seeds, and tiny insects and tend to travel in groups nomadically, with populations varying from year to year. 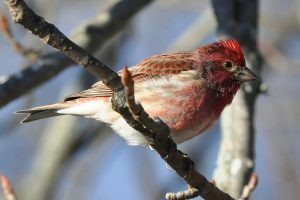 A handful of “winter finch” species breed in summer primarily up north in coniferous and mixed forests, flying south in late fall and winter to find winter homes here. 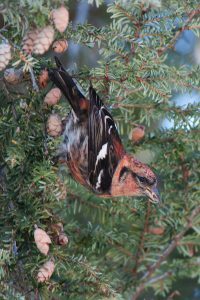 Kenn Kaufman’s Birds of North America identifies “winter finches” as the two species of Crossbills (White-winged and Red), two species of Redpolls (Common and Hoary), and the Pine Grosbeak.White-winged Crossbill and Common Redpoll are our more likely winter visitors. Pine Siskins are similar to Goldfinches but more slender, sporting light streaks and a yellow wash on wings and tail, with a wheezy distinctive “zzzzzziiiiiiiiiiiiip!” Pine Siskin like pine seeds, and in winter, thistle is tempting. So what kind of winter finch year is 2016-17? Will you watch for birds in the preserves? Whether you consider yourself a birdwatcher or you occasionally notice a few species, you can help support ACRES by reporting your sitings. As an indicator species, birds and their population numbers reflect the health of our natural areas. We look forward to learning about your observations from our preserves. Thank you and happy trails! 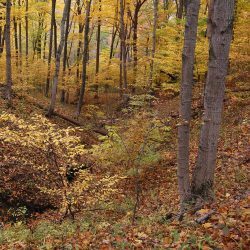 ACRES member Fred Wooley is a naturalist, writer and land preservation/restoration enthusiast. 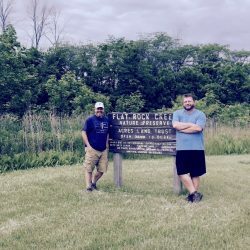 He and his wife Jackie live on part of an old farm overlooking an extensive fen in northern Steuben County. 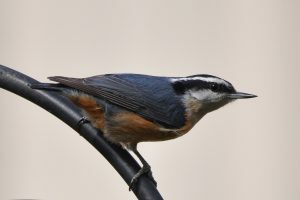 The Redpolls, Pine Siskins, and Purple Finches have been eating my seed daily in large numbers (20 redpolls, 15 pine siskin, 10 purple finches) as well as the occasional Red Breasted Nuthatch, White Breasted Nuthatch, and the many (10) Chickadees. I am in the Pine River/Backus area. I just discovered your website about birding. I live just across Cedar Canyon from where Tom and Jane Dusten lived, which I believe is your where your headquarters is located. I have been watching and photographing the birds and other animals that roam through this area for about the last ten years and have a blog called Cedar Canyon Vistas of mostly the birds I have observed over time from my backyard. 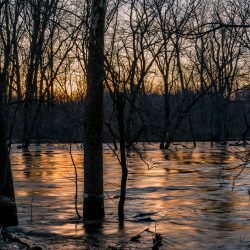 I have seen and photographed a Bald Eagle, Hawks, Pileated Woodpeckers, an Owl, Warblers, Blue Birds and so many others that are categorized on my blog. I just thought it might be fun to share it with you since you obviously have a similar interest. Thanks for stopping by, Janice. I love seeing your photos from across the creek! We do indeed work here in Tom and Jane’s former home and we have similar bird lists. We saw a Bald Eagle on the creek just last month. I have seen fox, mink and badger and heard tale of otters, too. This is truly a remarkable place. We protect land throughout the region – and we occasionally need bird photos to tell our story of habitat protection. If you’d like to share some of your photos in our publications, ACRES would appreciate your support and give you credit. If you’re interested, you can reach me at [email protected]. I’d be happy to send you a Quarterly with our latest news as a thank you. If you’re ever on this side of the creek, please stop in to say hello. We’d be happy to meet a fellow wildlife and Cedar Creek enthusiast. Happy trails!